Utah’s war on drugs has created a legal monster. Possession charges come with harsher and harsher punishments for each prior conviction, creating a revolving door of prison sentences and unbearable fines that harm our citizens and our economy. Here at Wasatch Defense Attorneys, we believe the punishment should fit the crime, not some political agenda. 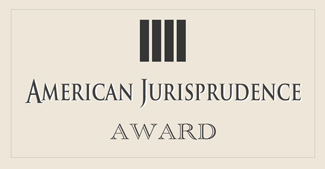 Call us today for a free, no-obligation case review at 801.980.9965. Learn how we can help you avoid the traps. The possession of marijuana is regulated at the state and federal level. In Utah, marijuana is a Schedule I drug, which means that the state considers it to have a high potential for abuse and no medical value. Penalties can vary depending on the amount in possession and any other charges that might be added to possession. Most people don’t know that having a bong, pipe, syringe or scales in your possession could lead to criminal charges. Anything that could be used to create or use illegal drugs is considered drug paraphernalia according to state law and the possession of drug paraphernalia is a Class B misdemeanor. Utah considers methamphetamines a Schedule II drug. That means the drug has a high potential for abuse and addiction while also having no medical value. If you are facing drug possession charges for methamphetamine, you’re facing a third-degree felony. Possessing a prescription drug that isn’t legally prescribed to you is treated just as severely as possessing an illegal drug like marijuana. In some cases, you could even be charged with prescription forgery. Cocaine is the second most popular recreational drug in the United States, but the possession of it can lead to a third-degree felony in the state of Utah. Because it’s considered a hard drug, the charges could result in you spending up to 5 years in prison. A first offense of ecstasy drug possession counts as a third-degree felony charge. That means you could be facing fines up to $5,000 and up to 5 years in prison, if you’re convicted. Having a large amount of drugs in your possession can lead investigators to upgrade your charges from normal possession to possession with the intent to distribute. This charge carries punishments second only to violent crimes: 20 years to life in prison, as well as $10,000 in fines. Utah increases the penalties associated with drug possession charges based on the number of prior drug offenses a person has been convicted of as well as the type of drug that the person is convicted of possessing. If it is your first offense, and a Schedule III, IV, or V drug, you will be charged with a Class B misdemeanor. Upon the second offense, you will be charged with a Class A misdemeanor. The third offense can upgrade your charges to felony level depending on the severity of previous punishments. It is important to note that possession of most Schedule II and all Schedule I drugs is considered a third-degree felony. Drug possession is a leading cause of our rapidly expanding prison population, thanks to unfair and brutal punishments for even the most minor offenses. Don’t think that the system has your best interests at heart. Get help today. 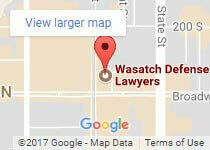 Call Wasatch Defense Attorneys for a free consultation now.